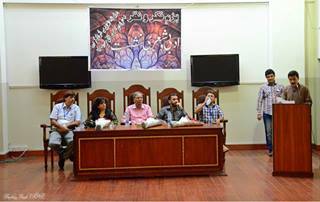 Bazm-e-Fik-o-Nazar organized a poetry recital session “mushaira” to find poetic talent among the students on campus and to provide them a platform to express themselves. The chief guest at the occasion was famous poet Khalid Sharif. 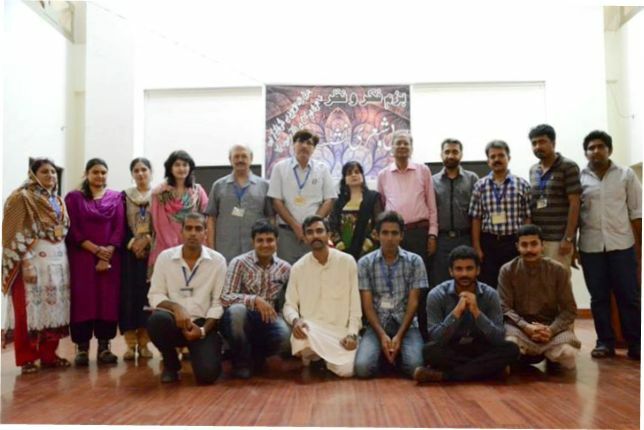 Accompanying him were two other poets from the Punjab University Urdu Department Dr Muhammad Kamran and Saima Kamran. Students from various departments of the university presented their poetry and received a warm response from the audience who had gathered for the event in a large number. Adviser of Bazm-e-Fikr-o-Nazr Dr Ashfaq Ahmed Virk said on the occasion that we have always tried to provide opportunities to students to express their feelings and show their talent. He also promised events like these to be organized in the future as well.